The capital of Wales has been graced with not only comedy performances and sports events but has also had the honour to of staged worldwide stars such as Nicki Minaj, Lady Gaga and One Direction. Cardiff may have had the honour to stage these worldwide stars but the city has also raised its own worldwide stars, to name a few: Shakin’ Stevens, Shirley Bassey, Charlotte Church and Noel Sullivan (Hear’Say). Shakin’ Stevens spent most of his career in the 1980’s topping the UK Singles Chart highlighting the talent the tenth largest city in the United Kingdom possesses. The following venues have been known to hold many international and national stars throughout its duration of being open: Motorpoint Arena, Millenium Stadium, CF10, St. David’s Hall and the Wales Millenium Centre. Artists and musicians that have had the privilege of performing within these excellent facilities recently are: Paloma Faith, Madness and Rihanna. Other events such as Hairspray are taking place within Cardiff during the course of June 2013. Having been opened by Shirley Bassey in 1993, it was clear that only the biggest and best stars would perform at the Motorpoint Arena. However, with a maximum of 7,500 tickets available for each event, it’s important to purchase early to ensure you get a ticket within this fantastic arena. It was originally named “Cardiff International Arena and Convention Centre” but was renamed as “Motorpoint Arena” after the car sales company officially bought the naming rights for a price which is unknown but expected to be that of seven figures in a deal that will last five years. Despite hosting some of music’s biggest stars, it also hosts events such as boxing, comedy performances and musicals – all of which are taking place throughout the remainder of the year in the form of: World Championship Boxing, Mrs Brown’s Boys and Jesus Christ Superstar. Home of both the Wales national rugby union and football team – it is clear only large scale events such as speedway, boxing and world famous artists can perform within this iconic stadium. Rihanna, U2 and Oasis are three stars that have took to the stage at the Millenium Stadium. It is also had the honour of holding the Tsunami Relief Cardiff charity music concert in 2005. The total construction cost of the stadium was £121 million and was opened in 1999 in preparation for the Rugby World Cup. A rugby union match between Wales and South Africa was the first event to be staged at the Millennium Stadium. With a fully retractable roof and a capacity of 74,500 it is of no surprise that the venue is the third largest stadium in the Six Nations Championship. This venue is one of the most unique venues that the city has to offer. During the day, this facility is a café. At night, it opens its doors to all forms of entertainment. With a capacity of just 300, tickets are ensured to sell like gold dust especially when a popular artist takes to stage. The smaller capacity allows a special atmosphere to be generated whilst giving an opportunity for fans to get closer to the latest upcoming talent. Built in 1982, this venue holds various performing arts events and conferences. Each year, St David’s Hall hosts the “Welsh Proms” and the “BBC Cardiff Singer Of The World Competition”. 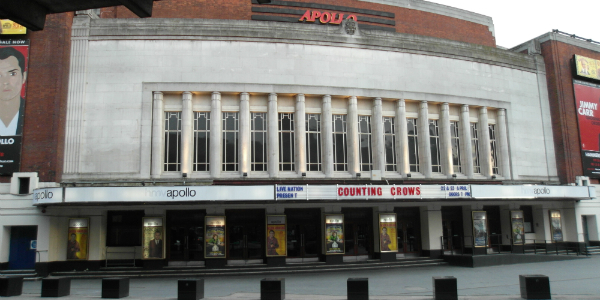 Despite it being labelled as a venue that hosts performing arts events and conferences, it also holds concerts from various music genres including: rock, pop, dance, R’n’B and others. Whilst often providing free events for the public, St David’s Hall also provides for the celebrities themselves offering a celebrity restaurant above the variety of bars it contains. St David’s Hall’s pricing structure aims to attract families that may not neccesarily normally choose to attend a classical music event. Artists such as Jedward are expected to perform at this venue in the near future. The Wales Millenium Centre is located in Cardiff Bay and has hosted performances of opera, ballet, musicals and various other types of performing art events. The Donald Gordon Theatre holds a capacity of 1,987 ensuring that fans will be up close and personal to the performing talent. Alongside this, the Wales Millenium Centre also contains both the Weston Studio Threatre (a capacity of 250) and BBC Hoddinott Hall (a capacity of 350). On the opening weekend in 2004 a variety of famous celebrities made the trip to Cardiff to witness the fantastic new facilities they had to offer through the Wales Millenium Centre, including Queen Elizabeth II. Having been open for less than 10 years, this new attraction to both Wales and the performing arts industry must be one to witness.